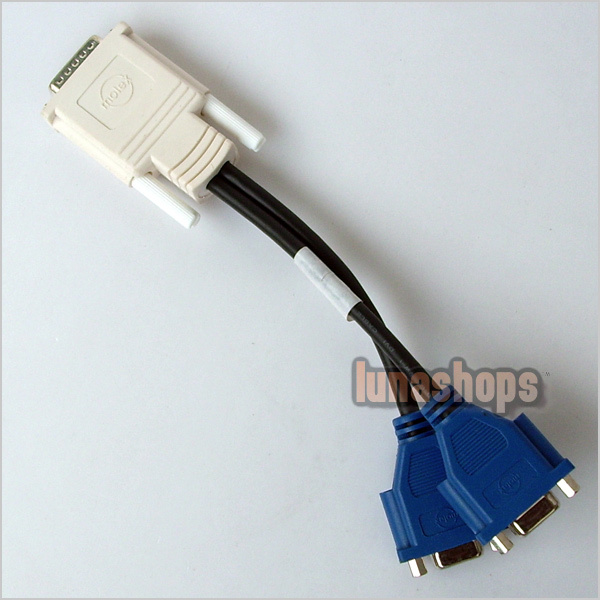 This is DMS-59 pin male to dual VGA female splitter cable, which enable the Lenovo Thinkcentres, Viglen Genies and Omninos, Dell, HP, and Sun computers (has DMS-59 pin interface) with ATI, NVDIA, and Matrox for video cards to be connected two monitors to display the same video sychronously. 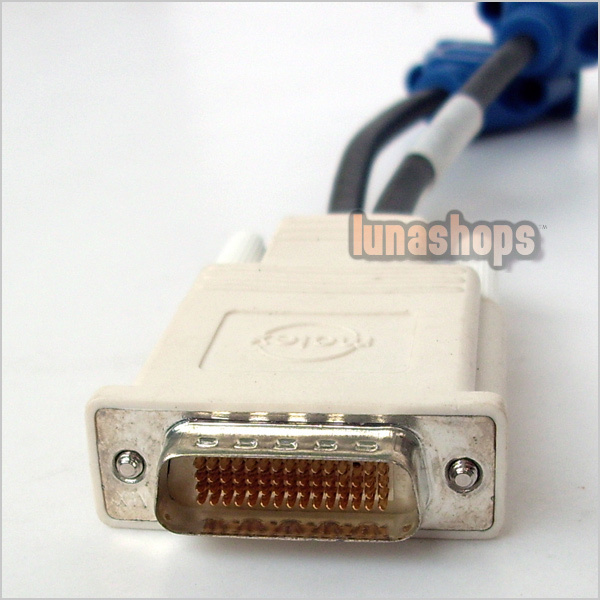 DMS-59 pin male to dual VGA female splitter cable. DMS-59 has 3 rows of 20 pins with the top row missing one pin (59 pins). Enable two monitors to share 1 computer to display the same video sychronously. 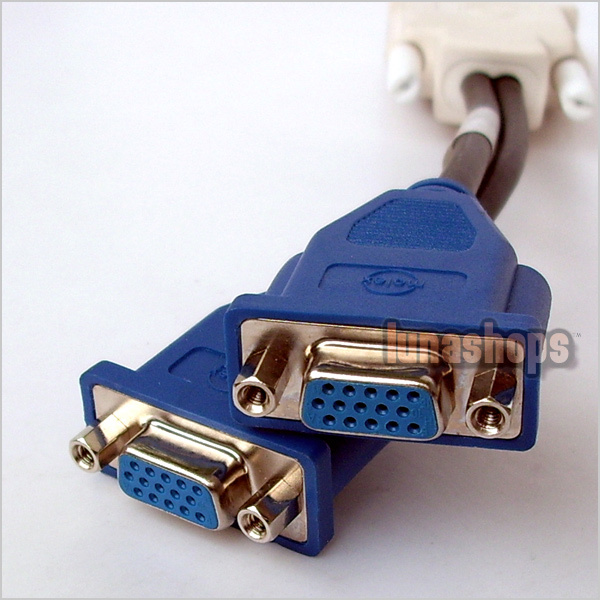 Compatible with the Lenovo Thinkcentres, Viglen Genies and Omninos, Dell, HP, and Sun computers with DMS-59 pin interface. Compatible with the followig video cards: nVidia Quadro NVS series (200, 280, 285, 290, 400, 440); Matrox Low Profile G550, G450MMS, G200MMS; ATI Low Profile ATI HD Series (some manufacturers), ATI FireMV 2200 and several Dell models(Not all these models support DVI).